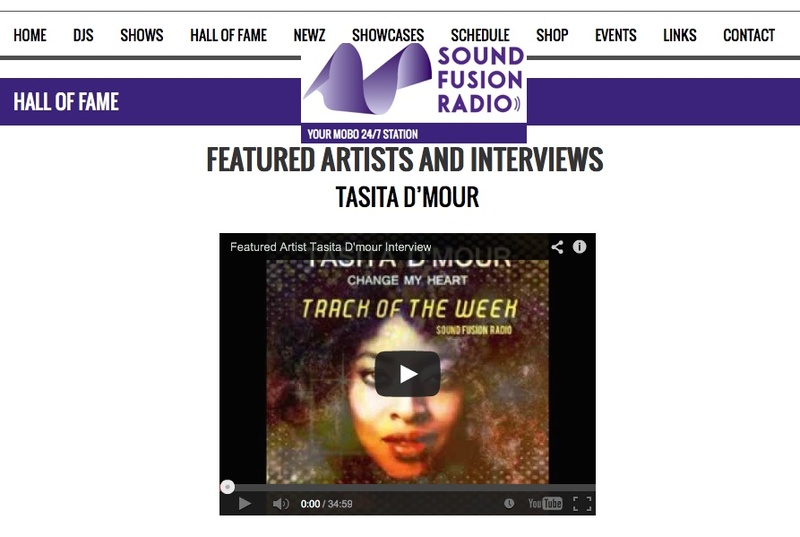 Tasita has made the Sound Fusion Hall of Fame this week, we are all very excited in the Tasita camp! Sound Fusion Radio paid homage to Tasita’s career playing a selection of songs from her vast catalogue this week taking us all on a walk down memory lane and playing some of Tasita’s best known songs. The week ended with more music from Tasita and an interesting interview with the lovely DJ Gloss giving insights into the creation of the Single and talking about the upcoming EP and album. Click on the link to hear the full interview.